Allied fleets combined their efforts and managed to push enemy fleets back. The Chadians took the the station and their fleet split into two with one going to engage the UNE forces at the Moon and the other half going after the Titanius fleets. Domhandians and Chadian fleets held off the reinforcement fleet long enough for the Orithyian Fleets arrived and effectively cutting off the UNE Fleets. The Domhandian fleets destroyed one of the Directorate Fleet Groups and force the remaining hostile fleets to a tight defense line around the moon. Domhandian ships have engaged the UNE support forces and has reduced the effect of their fire missions to their ground forces. Domhandian AI and Chadian AIs continue their operations to cause enough chaos within UNE forces. The message to the Directorate has been sent unknown effect at this time. On the ground the UNE Fighters are still being a problem and increased use of UNE land artillery on allied forces. The UNE have deployed their elite Guard Divisions to their counter attack and in a well executed assault managed to hammer Domhandian forces while they begun their own counter attack. Domhandian forces took heavy losses and lost ground but was able to counter attack the UNE forces and retook all lost land. The UNE troops used Disintegrators which was the cause of most of the Domhandians lost. Domhandian forces managed to take F14, F15, F18, half of F19 but is facing heavy losses, and F13. C5 is able to hold off Domhandians assaults for the time being. Orthyian forces managed to secure the planet and finish off the remains of UNE forces on the planet. Repeat the message to the directorate fleet. If they don't begin powering down their weapons, they will be crushed. With the Orithyian fleets and chadian fleets dealing with the Titanicus fleets, we are free to continue wiping out the UNE orbital forces. All remaining forces of the two hundred and fifty-five Flanking Fleet will move up to Junker itself to wipe out the remaining UNE orbital support for their ground forces and enforce our own. Any GTSDs still firing will be picked out and destroyed, and we will begin using our firepower to help crush their resistance on the ground. Our fighters will begin joining those deployed on the surface to overwhelm and finish off the UNE air support, and proper bomber support will be provided to begin bombing runs. The Main fleet will focus all their fire on the UNE ships and make aggressive pushes into their defensive lines. As before. the Purgatory ships will use their M cannons to disable as many of the tight ship groupings of the UNE as possible, with our Razor-class stealth boats and our Command Ships using their heavy guns for continued long ranged support. All other ships will focus shield power to their fronts and power through the enemy fire to disrupt what formations remain to engage them more closely, as well as ram whatever they can without exploding. The Empress Task Force will lead this, with the Empress itself making a micro-warp directly in the midsts of the enemy, where it can engage multiple targets all around it at once and disrupt the UNE. Once enemy fire begins slackening, other ships will begin making similar micro-warps to deny the enemy the safety of their defensive formations. With the Chadian fleet behind them, there is only one other direction to assault to ensure that the UNE cannot escape. The Ragnarok Task Force will assault from the eastern section and plunge like a dagger into the flank of the UNE. The Ragnarok itself will take point, supported by the rest of the task force. Due to the presence of friendlies, the main weapons of the Ragnarok will not be operating at full power. It will however utilize those main weapons to engage multiple targets and destroy all in its path, its focus being the dreadnoughts, battleships, and command ships of the UNE. With the Ragnarok Task force engaging and their interdictors engaging their zionic wells, the UNE fleet here will be trapped from all directions. Special: all Domhandian AI not performing ship duties will focus on finding the overall command ship of the remaining UNE ships, IE where Expeditionary Fleet Commander Grand Admiral Kenneth Whitehall and his Second are commanding from. Upon it being determined, Empess Aera and 2 platoons of the 666th will launch in the best DOAT-8 dropships in the Empress dreadnaught's hold and board the ship. The head of the snake shall be cut off, so that the body may die all the quicker. Fighters from the Flanking fleet above will be immediately moving to engage the remaining UNE fighters and help relieve the WU fighters already present. Bombers will begin providing support to our forces on the ground and will target the enemy's artillery and areas of heavy defense. Our own artillery will begin providing support ahead of our main advances, and thanks to our actions in the sky, the Dominators will begin utilizing their heavy artillery weaponry for further support. In areas with the UNE Elite Guard divisions, we will begin deploying our own elites. 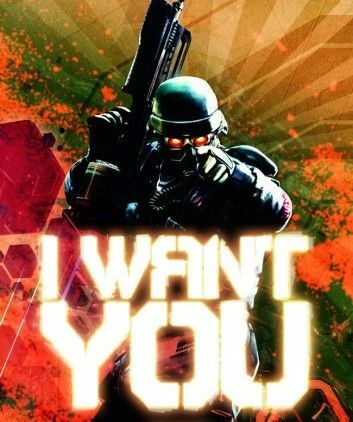 Platoons of Domhandian Mist Troopers and squads of Zionic Warriors will be deployed for the sole purpose of wiping out the UNE elites, with the Zionic warriors authorized to use their full combat powers to gain every advantage they need to utterly crush their opposition. Given the UNE's stance against the existence of such abilities, they are encouraged to spread as much fear as possible as they work. The forces from F14, F15, and F88 will move out immediately to drive the UNE back in their entirety and grind all resistance under their boots and treads. The 30 army groups from F18 will spread out and move to engage section C5 to support the assault there. The thirty army groups at F13 will deploy to engage and take F12. An additional thirty army groups will be deployed via dropship and warp portal in the vincinity to lend support to the attack. The 30 army groups at F19 will press their own assault and finish off the UNE resistance in the area. 20 army groups from our controlled areas in C2, C1, and F1 will launch a dropship and amphibious assault on C3 to catch the enemy from behind there, while all other forces will steadily advance downwards and eastwards now that their counter attack has been beaten back. The 501st (Hero) Division of Paladin Droids will deploy at C5 to further push the assault and engage the UNE defenders. All assaults will be provided with full orbital support from the ships of the Flanking fleet, even the heavy ships, and orbital strikes and full out bombardments are available at the discretion of the assault commanders to better ensure that any pockets of heavy UNE reistance are swiftly and utterly annihilated in particle, missile, and laser blasts. Raptorian Rangers will go ahead of our assault waves for recon and to dismantle traps/kill high value targets and destroy vulnerable defense points. Dragonian Airborne battalions, supported by Dragon Light Tanks, Hellfire Tank Destroyers, and Light Bruddhoders, will launch rapid, hard assaults on enemy defenses using their flight capabilities and speed to outmanuever and take enemy positions and spread them thin. Five Annihilator A4 Heavy Walkers will spearhead the main assaults, using their size and long-range to engage the enemy from afar and soften them up, while also using their thick armor and shields to draw and survive return fire. They will be escorted by ten DTEW-A2 'Walking Fortress' for each assault group. On the main assaults itself, Heavy Bruddhoders, Werewolf Troopers, and Orc Heavy Troops will take point in various situations that require their areas of expertise, to support and lead the Legionnaire infantry. The Bruddhoders will destroy enemy emplacements, the Werewolf troopers will take out enemy PA and their mechs, and the Orc Heavy troops will provide additional heavy firepower of both an anti-vehicle and anti-infantry nature, while the general infantry push through to secure more territory. Move in on the UNE fleets while maintaining interdictor coverage. Focus on dropping shields, then rapidly following up with concentrated barrages from the plasma autocannons and blast guns, or missile strikes. Send the Aquilla Heavy Fighters, half the Bateleur Class BLA and 200,000 Condor Class Bombers around to the "north", to aide the Chadians with fighter suppression and anti-shipping strikes on vulnerable targets. Peel off a force to aide the Doomhandians in ground support fire, linking with their fire support network, if they'll allow it. Take 800 Pandrosos Class Aerospace Carriers, 20 Cleobule Class Battleships, 200 Teleclia Class Cruisers and 800 Calladice Class Frigates and swing around the UNE to the "south", and join the Doomhandians to between the two fortresses they captured. Flatten any targets of opportunity, if friendly ground forces aren't in the danger zone. It's not that one bullet with your name on it that should worry you, it's the hundreds of artillery shells raining down with "To whom it may concern" written on them. Allied fleets managed to destroy most of the UNE Fleet and forced them to rally around the last of defense line at the warp gate and moon base. The Moon Base is defended by the UNE Naval Infantry and have operational GTSDs. The remains of the UNE fleet has gathered around the moon for a last stand with only 1/10 of their original fleet remains. The Directorate Fleet was wiped out. The Empress Task Group has confirmed destroyed the UNLN Kvantorp which was the command ship for Fleet Admiral Norbert Manoury the Fleet Commander of the UNE Expeditionary Fleet. The AIs searched for the Expeditionary Fleet Commander and they found his ship the UNLN Ronvaux in the last defense line and the mission to board his ship has been deemed too high risk due to the tight AA defenses around the Ronvaux and the escorts need to be destroyed first. The Chadians AIs started their own search and located Admiral Hugo Kleinfeld, the UNE Stealth Boat Fleet. They shared the Intel to the Orithyians and Orithyian fighter crafts located and destroyed Admiral Hugo Kleinfeld's Stealth Boat, the UNLN Beersbach was destroyed and most of the Stealth Boats were as well. Intel suspects that Colonel General Tiago Aguiar Macedo the commander of the United Nations Naval Infantry Corps is leading the Moon Base Defense. The fighting between the UNE Guard Divisions and Domhandian Elite troops turned into a brutal fight with either side having secured any edge in the fight. At first the Zionic Warriors had an effect but Spetsnaz snipers have been targeting them and taking them out. Because of this the main line hasn't moved at all. On other fronts however Domhandian forces have managed to secure most of their objectives. The issue areas are as follows, C3 is having trouble as it appears C3 is being protected by UNE Airborne Troops fighting tooth and nail for every street. The assault on C4 and F16 have been halted from a massive UNE Counter Attack that has both sides fighting in a brutal fight. While F12 was taken there was heavy losses due to the use of a new chemical weapon which eats through the armor killing the target under it. The complex appears to house their bio weapons program. In the complex the body of Admiral Arafaat el-Gaber, the head of the UNE Bio Research Division body was found with a self inflicted gunshot wound to the head. With more control of the skies Orithyian and Domhandian begun providing fire support to ground forces and are currently bombing UNE airfields and bases which has lead to the allies gaining control of the skies at last. Domhandian and Chadian AIs begun looking for the remaining heads of the UNE Expeditionary Fleet. Transfer the 1st-5th PBD Airborne Army Groups to Junckers and the 1st and 2nd MP Raider Army Groups to the naval forces around Junckers/the moon. Bombard F6 and the surrounding area, with the goal of destroying AA and sensors, as well as providing cover for the insertion of the 1st PBS Army Group to the area. Their goal is to infiltrate Fort Vestric(F6), using the bulk of their forces in a mostly conventional manner to cause a ruckus, allowing smaller units to operate stealthily. The infiltrating units goals are killing or capturing Marshal Danylo Horbach, Colonel General Zivan Volinin and Colonel General Dyrbov Ikovle Victorovich and gaining intel on where Admiral Tao Tao, Colonel General Matsuda Kentaro, Lt General Chung Duy Thanh and Colonel General Theresa Galat are located, as well as securing any valuable intel on site. Dropping the forts shields prior to exfiltration is a secondary goal, but successful exfiltration with intel/prisoners is higher priority. Orithyian electronic warfare specialist AIs are to infiltrate enemy networks, searching for intel on enemy leader locations and other valuable intel. Move in naval forces to engage the remaining UNE fleets around the moon and prepare the 1st MP Raiders for boarding the warp gate. Prepare the 2nd MP Raiders for assaulting targets on the moon, if allied forces plan on doing so, otherwise stay in orbit. Detach 20 Keres Class Dreadnoughts, 100 Cleobule Class Battleships, 400 Telecleia Class Cruisers and 800 Callidice Class Frigates to assist the Doomhandians by clearing away the UNLN Ronvaux's escorts and covering the Doomhandians while they board the command ship. The Main Domhandian/WU fleet will engage the UNE defense fleet from maximum range for all ships. Of priority will be the Purgatory ships, which will make use of their M cannons at will on the Moon base and UNE formations, disrupting and disabling everything they can for our ships to blast into dust. Our fleet will not attempt to move closer, but instead keep distance and use our superior numbers of fighters, bombers, drones, and stealth bombers to close the distance to engage the enemy up close and tie up their own smallcraft. During this engagement, a special mission will begin. Due to the amount of AA, it is unsafe for OAT transport ships to conventionally transport boarders. Instead, the Empress and 1,000 of the 666th Division will be deployed in another manner. A force of two hundred DRT-05 Knight Mechs will carry Aera and 200 hundred of the best out of her 1000 to the UNLN Ronvaux. Given their small size, agility, and speed, the UNLN will be unable to pick them up, and unable to effectively target them, much less hit them. For extra precaution, however, the Knights will be approaching the Ronvaux disguised behind debris from the battle, further masking themselves and giving them a little extra protection. Aera and her 200 will be shielding themselves as well, and will be fully sealed in their armors to handle the vacuum. The Knights will approach the Ronvaux looking for hangers to deploy their living cargo or, failing that, breaches on the ship. Whichever works is how they will begin entering and killing any UNE personnel stopping them. Even if they are unable to enter directly, Aera and her boarding team will use their abilities to appear inside the ship at the closest visible point, where they will secure a beachhead and make preparations to bring the rest of the chosen 1,000. From then on, the mission is simple. Sweep the ship, and kill everyone who resists. Disable the ship from the inside so that it can't participate in the battle, and turn any internal defense systems on the defenders. The Empress herself and a team of ten is charged with locating Norbert Manoury and securing the ship's command center. Norbert is not needed alive, but if it makes things easier, take him captive. At the very least, ensure his body is intact and identifiable. The DNN Empress will engage the Ronvaux from afar as well, using its superlaser to beat down its shield and not only take out weapon emplacements, but provide areas for the Boarding force to enter the ship. Once the Boarding team is confirmed to be onboard, the Empress will engage the Moon Base instead. All active AI will concentrate their efforts on inserting themselves into the systems of F6 to begin shutting down or destroying shielding, weapon systems, and communications. They will also download all the intel their greedy electronic minds can handle for later processing. C3 assault: Dragonoid Airborne troops and RAD-24 Rapid Assault Drone will deploy to counter and push back the UNE Airborne while the rest of our forces continue the assault as ordered. C4 and F16: Orbital and aerial fire will immediately proceed to make the UNE counter-assault stop existing as they are, and then proceed to devastate the bases themselves. Once the bombardment on the UNE troops is done, our forces in the area will regroup and renew their assaults to take both locations, covered by more aerial and gunship support to beat the UNE troops into submission. The 30 Army groups from F19's takeover will reroute to assault F16 from behind for extra support. F12 forces: regroup and launch a full assault on F10, using the same strategy as at F12. Unless they also have chemical weapons, in which case forces will pull back and the UNE forces at F10 can enjoy the sensation of being glassed. The forces from F18 will be redirected to assault F2 with a mass amphibious and dropship assault, preceded by orbital, artillery, and aerial bombardments to force the defenders down and soften them up for the main assaults. With luck this will take pressure off the main lines. All forces from C2, F1, and C1 will continue to push downwards. A battalion of elven rangers and at least 2 of Raptorian rangers will protest to this use of sniping our Zionic warriors by playing a nice, friendly match of hide and seek and sniper tag with the Spetznaz snipers. Friendly in that their deaths should be relatively quick. This should allow our Warriors to have a greater effect. With the confirmed presence of high value targets at F6, a second special operation will begin immediately. Since the Orithyians are being so kind as to bombard that aera and the surrounding, it would be rude of us to not take advantage of the chaos. To that regards, the remaining 19,000 of the 666th will be directly inserted into F6 via OAT-8s, teleporting from their drophips to the ground and into compounds to begin their assault. They will be supported by the 501st Paladin Droid division, who will work on securing the exterior of the area and exterminating the enemy. Fully armed and armored, they will make use of their abilities to storm the compound and wipe out any and all resistance, using the tighter quarters to their advantage. If needed, they will make full use of demons and fear auras to show the UNE how inferior they are to Domhandian might. They will spare no one in Fort Vestric save, potentially, Marshal Danylo Horbach, Colonel General Zivan Volinin and Colonel General Dyrbov Ikovle Victorovich. This is not required of course. And for extra motivation, the 666th is to be informed that Orithyian forces are also seeking to take this fort, and that it would be a stain on the Empress's honor if her chosen were to fall behind in objective completion and kill count. Allied fleets continued their assault on the UNE last stand and are fighting in a winning battle. During the battle the Domhandians launched a daring move by launching some Knight mechs at the Ronvaux. The thrusters didn't adjust to space too well and 1/4th of the knights were destroyed but the remaining knights land in the Ronvaux's hangers and begun engaging the crew. Aera and her team cleared the Ronvaux and killed the Expeditionary Fleet Commander, Grand Admiral Kenneth Whitehall. Allied fleets begun engaging the moon base and the warp gate Orithyian MP Raiders landed and engaged the UNE Naval Infantry for control of the Moon Base and Warp Gate while Chadian and Domhandian ships provide fire support. Within an hour of heavy low gravity fighting the moon base and warp gate was secured and the commander of the United Nations Naval Infantry Corps, Colonel General Tiago Aguiar Macedo has been confirmed dead. The fighting in orbit is over. Domhandian AI shut down the shields protecting the base at F6 and gave the Orithyians free fire over the base. The Orithyians bombard the fort and Intel is reporting heavy enemy losses. The Orithyians dropped their forces in the base and begun laying waste to UNE forces in the fort. Domhandian forces landed 20 mins later and begun engaging UNE forces and within the hour the fort was taken with the Orithyians taking 60% of the base while the Domhandians took 40% of the base. The Second in command of the entire UNE Expeditionary Fleet and Ground Forces Commander, Marshal Danylo Horbach was found dead by Domhandian forces. Colonel General Zivan Volinin of the United Nations Spetsnaz was killed by Orithyian Forces. Colonel General Dyrbov Ikovle Victorovich of the United Nations Spetsnaz Guard Division managed to escape but with his remaining troops has assumed command of the nearby ground forces and there are reports of two army groups heading towards the fort from all sides to retake the fort. At C3 Domhandian forces managed to defeat the UNE Airborne and take the fort. Colonel General Pacomio Francesconi, commander of the United Nations Airborne Divisions was killed in the defense of the base. Domhandian forces managed to beat back the counter attacking UNE forces from C4 and F16. Domhandian Army Groups managed to take F16 and forced the UNE to retreat from C4 to avoid encirclement while being chased by Domhandian forces. Reports that Colonel General Marwin Adler of the United Nations Special Security Unit (UNSSU) is heading towards F11. The Assault on F10 went poorly but Domhandian forces pushed on and orbital support is currently bombing the base for the time being. Early reports state there is heavy defenses and a possible underground complex. Domhandian forces are waiting for the bombardment to end to find out and use this time to regroup. Note no WMDs found they are just bombing it because they have the nerve to resist. F2 was taken without much fighting it appears the UNE left a small garrison there and appears the forces that were there are pulling back to another position. They were discovered at F3 boosting their defenses when the main Domhandian force broke through the Guard Divisions which also pulled back to F3. Not only it has strong shielding, GTSDs, natural mountains for cover, and is mostly underground. It has the bulk of their forces not in the counter attack are there. Station at least 30 fleets above F9, with some spaced further from the planet to create a deeper zone that any missiles from the surface would have to pass through, ensuring any fired get shot down. Bateleur Class BLA drone fighters are to ram the missiles, if point defence and AA weapons don't work, along with proximity fused plasma missiles. While most of the ships deal with protecting against the missile threat, the Callidice Class Frigates and Pandrosos Class Aerospace Carriers are to locate and destroy the AO and AA emplacements in F9, as well as using all available sensors to map the base for possible entry methods and likely locations of VIPs or intel. When the troops are committed to land, 1000 Callidice Class Frigates are to accompany the landing, acting as heavy gunships, point defence and protection for the assault shuttles and dropships. Once the troops are landed, they are to stay on station, assisting in destroying any remaining weapon emplacements, providing support fire, using their weapons to create breaches into the base. If they can detect concentrations of UNE troops inside the base they are to work in groups to focus fire on that point to destroy the section. Recall the units deployed at F6 and the moon, readying them to deploy on F9. Once the AO and AA emplacements around F9 have been reduced to acceptable levels and the bases shields have dropped, all MP Raiders and PBD Airborne are to drop on the base, under cover of a preparatory bombardment. Teams with demolition charges are to be assigned to all entrances, areas where the underground portions of the base are near the surface, surviving weapon emplacements, as well as the IPBM silos. The entrance and near surface teams are to use their charges to blow openings into the base. The near surface teams are to for 5 minutes before blowing their charges, to allow UNE response teams to concentrate against the entrance teams, letting the near surface teams gain some surprise or catch UNE forces from behind. The weapon emplacement teams are to blow any operable weapons they can reach. The silo teams are to use their charges to jam the silo doors, keeping them from opening, or if they think they can penetrate the silos they are to destroy the missiles before they can be used. If the silos can be secured and cut off from remote access, attempt to do so, but only after charges have been set on the missiles. Mixed teams of MP Raiders and PBD Airborne are to follow the lead assault units from both entry methods, with the goal of locating and securing each of the VIPs in the facility, the command center, the silos, and any located power plants or environmental control rooms. As the Orithyians, station thirty of our now-free fleets above F9 to create a deeper zone that any missiles from the surface would have to pass through, ensuring any fired get shot down. Fighters will be on call to pursue and destroy anything launched from F9. DIS Predator Frigates and Omen Corvettes will deploy in low orbit and in atmosphere to engage and destroy anti-orbital and anti-air emplacments, as well as to engage any visible UNE defensive positions and formayions and soften up the main complex itself. As our allies are doing, they will use their sensors to make a map out of the underground complexes to upload to allied data, and if particuarly large concentrations of enemy troops are found the Frigates and Corvettes will concentrate their fire to blast down and destroy those sections. 30 fleets at F3 to bombard and destroy enemy formations and defenses. 120 fleets to be split between F5, F7, F8, and F4 to hunt down and destroy other UNE army groups and formations trying to prepare to hold the line against our forces, as well as cause general maybe and chaos for the UNE. With fortune, their spirit and will to fight will break before our troops even arrive. With the orbital secured and with major breakthroughs secured, there will be time to regroup, reinforce, rotate, and ready up before our new assaults are mounted. 40 army groups will launch an assault on F3, supported by Guard battalions and squads of Zionic Warriors, as well as Elven Ranger squads and Raptorian Ranger Platoons to defeat Spteznas divisions. Once they have broken the enemy here, they will move on to F4. 30 army groups will press forward to F7, supported by full artillery and air support to bombard the UNE positions. Once they are done here, they will press on to F8. The 30 at F10 will after bombardments press forward to conquer the area. Once done, they will turn their attentions to F11. Thirty fresh army groups will be deployed via mass landings to directly assault F11 as the enemy tries to regroup there. The UNE forces fleeing will be pursued by the combined sixty army groups from C4 and F16 so as to exhaust and run them down. The 666th and 501st, as well as 2 army groups will be sent to join the Orithyians in taking F9. The army groups will be focused on securing the upper levels of the fort and its exterior, while mixed groups of the 666th and 501st will join the Orithyian teams of Raders and Airborne and work with them to lead assaults deeper into the facility. They will have to be more careful with their abilities to as to not harm the Orithyians, but are still encouraged to do whatever they can to terrify and break the UNE, whether mentally or physically. The thirty army groups from C3 will move out to assault F5 supported by full artillery and air support to bombard the UNE positions. Allied forces launched their assault on F9 and managed to secure the outer section without issue. The UNE launched two nukes that were quickly shot down. Soon after allied forces pushed into the fort and captured it within the hour. After the fall of F9 UNE resistance weaken throughout the planet and allied forces managed to destroy remaining resistance with ease. The planet is under allied control. At F9 Colonel General Matsuda Kentaro of the Earth Intelligence Bureau Field Operations-Cabal and Admiral Tao Tao of the Bureau of Naval Intelligence was found dead with their heads removed. Domhandian and Orithyian troops near by spotted a cloaked figure rushing past them and while they gave chase they spotted a bright light near the figure and disappeared. As it was teleported out of the base. An Orithyian Frigate spotted an unknown stealth boat close to the planet's orbit that decloaked for a second before going into stealth again. The Orithyian ships in the area gave chase and chased the unknown craft for a few minutes before the ship emitted a bright light around it and disappeared. It appears to have warped out similar to Domhandian style of ships. Unity Party Chief Commissar: Lt General Philippe Civil, Captured by Orithyian forces. Earth Intelligence Bureau Field Operations-Cabal: Colonel General Matsuda Kentaro, killed by unknown party. UNE Logistics Operation Group: Colonel General Theresa Galata, self inflected gunshot wound to the head.